May is National Maternal Mental Health Awareness Month. This encompasses all types of postpartum mental health disorders from postpartum depression and anxiety to postpartum onset bipolar disorder. There is a huge range of mental health issues mothers can face before, during, and after pregnancy. Statistically, one in eight mothers will experience postpartum depression and/or anxiety (PPD) after birth. Unfortunately 15 % will remain undiagnosed. This topic is so near and dear to my heart because I suffered (and still battle) with postpartum depression and anxiety. I’m not a doctor, nor do I consider myself an expert on the subject of PPD. However, one of the hardest parts for me was feeling like I was alone. The truth is, unless you’ve been through it, it’s very hard to put into words exactly how isolating it is. Hopefully by sharing some of my story, someone else will realize they are NOT alone. For those of you who don’t know me very well, I have two children: Mya (4.5yrs old) and Drew (18mths). I also have an incredibly loving and supporting husband Marc. Oh and we have a dog Mason (Bubba, as the kids call him). I gave birth to Mya in Charleston, SC and had Drew right here at UNC. Both times I battled with PPD were very different for me. In fact, I was on opposite sides of the PPD spectrum with both kids. After Mya was born I was anxious and OCD…to the point where I would be too afraid to leave the house. I would cringe when other people would hold her. I would obsess over all the potential what-ifs: What if we were in a car accident? What if someone with an infectious disease coughed on her? What if a plane fell out of the sky and crashed into her nursery? I can laugh at myself now, but at the time these fears were very real to me. I was able to hide some of the anxieties and obsessions…and drove my family crazy with others, but we all chalked it up to my “type-A personality”. As a result, I remained undiagnosed and “suffered in silence” as they say. Things were different with Drew right from the start. A few weeks into my pregnancy, I developed severe anxiety and insomnia. I started having heart palpitations several times a day and could barely take care of Mya. I immediately talked to my doctor about what was going on. She put me on an anti-anxiety medication, and within a few weeks everything settled down. While I was in the hospital recovering from Drew’s birth, multiple doctors and nurses warned me I could potentially develop postpartum depression. I figured they were being overcautious, because I felt AMAZING! I was on such a high after having Drew. I knew what I was doing since I had done this once before…it was no big deal. I didn’t have the first time mother jitters or fears and my anxiety seemed to be gone. I really thought I had nailed things this second time around. Exactly five weeks after giving birth to Drew, I woke up one morning and knew something wasn’t right. I felt my world crashing around me. I suddenly felt like the worst mother. Drew was struggling with breastfeeding and wasn’t gaining weight like the pediatrician wanted. And I no longer felt connected to him. He was just this crying baby that I couldn’t feed properly. I felt like I was spending no time with Mya…and when I was with her, I’d fall asleep because I was so exhausted. I knew in my mind that I loved my children and husband, but I didn’t feel love towards them. I just felt numb. Most days I didn’t want to get out of bed. I didn’t feel like myself anymore. I just wanted to be alone. It was an incredibly scary feeling. Thankfully my six week doctor appointment was just a few days away. As soon as I walked into the office I told the nurse taking my vitals that I didn’t feel right, and she immediately brought a doctor in. I told the doctor I thought I may have postpartum depression. She asked me a few questions, and agreed that I was definitely suffering from PPD. The doctor prescribed medication and I immediately started seeing a therapist who specialized in postpartum mental health. Things didn’t get better overnight. It took several weeks and months. My family and friends were very supportive. 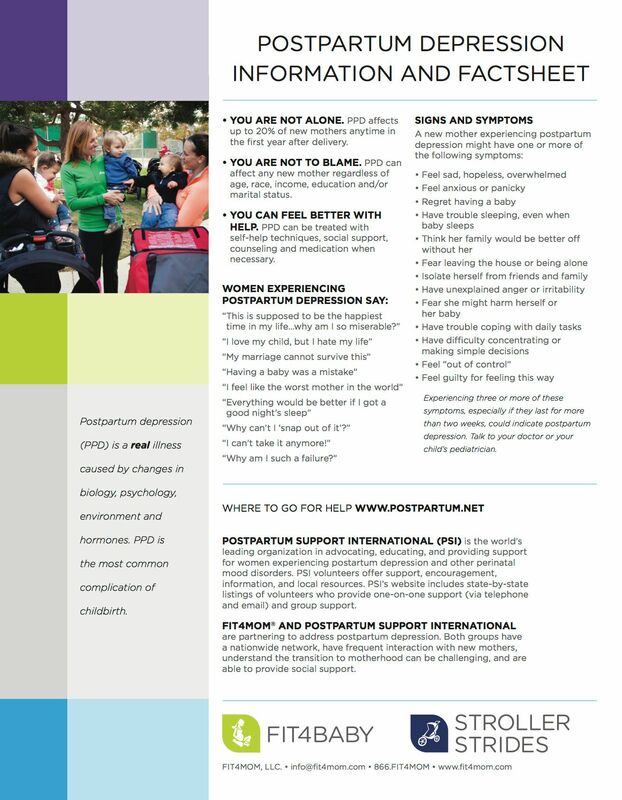 But it was hard, as no one in my inner circle of friends and family had ever suffered from PPD. The only person who I could really talk to was my therapist, and she didn’t know me on a personal level like those closest to me. I felt alone in my struggle. It has taken me a long time to get to the point I’m at now. My hormones crashed again right around the twelve month postpartum mark, and my medicine had to be adjusted. I would say, on average one day out of the month I still struggle…mostly due to hormone changes. I definitely feel like myself again. I feel the love and connection with my kids. But it has taken a lot of trial and error to figure out what works for me. And I’ve really had to learn about being kind to myself. I wanted to share my story because I didn’t want any of the moms I know to feel alone. Motherhood can sometimes feel isolating in itself. Postpartum depression and anxiety takes the isolation to another level. It is a REAL thing. It’s not something that is cured overnight. It’s not something you can wish away. And just because you didn’t have it with a previous pregnancy, doesn’t mean you can’t get it with a later one. Once again, I’m no expert…I’ve had to learn as I’ve been going through it. If feel like you just want to talk to someone who has ‘been there’, please don’t hesitate to reach out to me. If you or someone you know thinks they may have postpartum mental health issue, I encourage you or that person to seek help. You don’t have to suffer. And you are NOT alone. Every June, FIT4MOM and local wellness providers join together in hosting a "Climb Out of the Darkness" hike to bring awareness to postpartum mood disorders. We walk together in solidarity and support of one another.